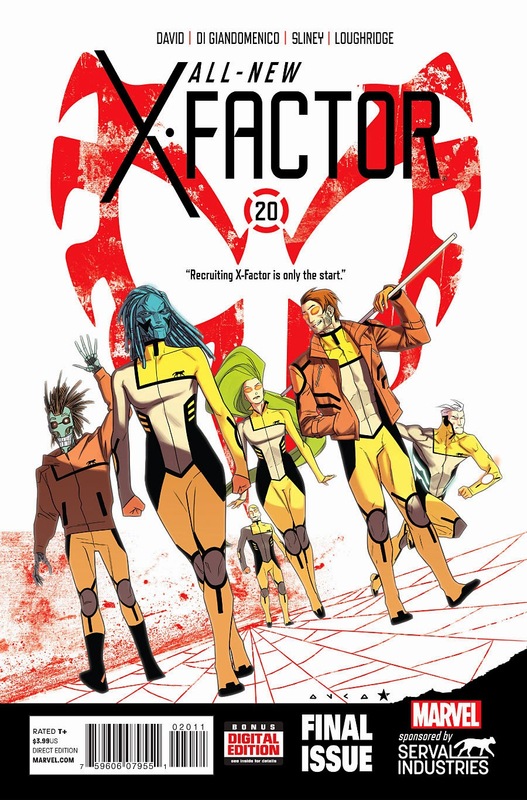 Andy H: A sad week for some of us as the excellent X-Factor (All-New) finally bows out with issue #20. I've been with X-Factor since the beginning but the highlight of this title has always been the writing of Peter David. For the most part the team have stayed away from a lot of the confusion occurring elsewhere in the Marvel Universe and Mr. David has handled their adventures with aplomb. Thank you for the ride, it's been emotional! Other highlights for this week include the Fantastic Four #642, a book which I feel has been overlooked recently. Some great stories and characterisation. It's been renumbered (again) for the final arc of the series for the First Family of Marvel. Buffy The Vampire Slayer is still something I always look forward to. It really seems to have returned to it's TV roots in Season 10. Finally, it may be a reprint, but what a reprint! The classic Dark Judges story from 2000 AD's Judge Dredd gets the IDW treatment and should look fabulous in colour. Kenny J: I may have spoken too soon. The bumper purchase that was my last pull has more than halved this week. Although fewer comics does not necessarily mean less quality as I'll be getting some of my favourite titles come Wednesday. First up is Moon Knight, where Brian Wood has managed to move the story on while retaining the tone set up in those initial six Warren Ellis penned issues. The only other two ongoing titles that I'll be reading are both over at Image. Justin Jordan’s Spread promises more of the red stuff as No and his companions struggle to survive in a dystopian wilderness. At the other end of the spectrum is The Wicked + The Divine, Gillen and Mckelvie’s tale of gods and deities living it up in London. As a bonus this week I’ll be taking a look at Dark Horse Presents 2014 #6 as it contains a prologue for Matt Kindt and Scott Kolins’ upcoming time travel comic, PastAways, a certain addition to my pull-list in weeks to come.